The only thing missing was the paparazzi. The ASCE 2016 Convention got underway Wednesday night with a movie-premiere style opening welcome reception worthy of Hollywood’s finest. 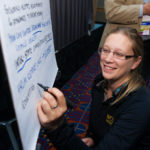 Members who walked the red carpet of the Oregon Convention Center in Portland were treated like “stars” of the Society. 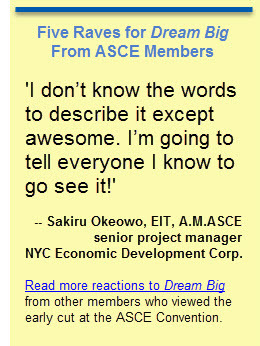 Following some mingling, attendees were treated to a rough-cut screening of Dream Big: Engineering Our World, ASCE’s giant-screen film that will premiere in February. 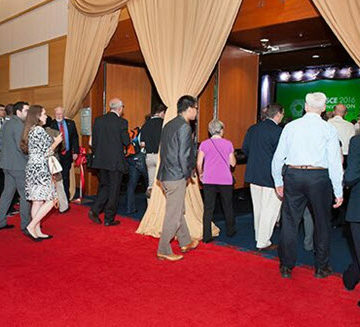 As the film showcased a variety of engineering projects, people, and disciplines, the audience of Convention attendees roared with laughter and cheered with applause in all of the right places. 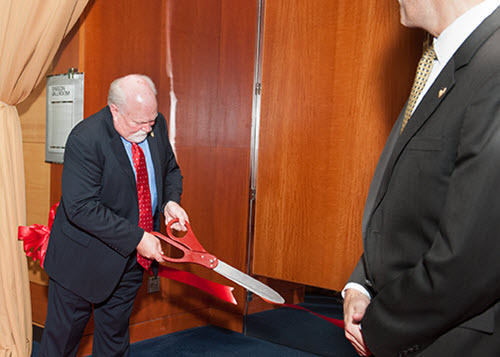 The opening welcome reception was just the beginning of ASCE’s big event in Portland. Short courses started in the morning – an Envision credential workshop, along with a study of lessons learned from the Tohoku Earthquake and Tsunami of 2011, and a deep dive into low-impact development in stormwater management. Several attendees worked on the convention’s community service project, repairing a Portland creek trail. Many others learned about the City of Roses through the Convention’s technical tours.